The play involves a group of older students sharing with incoming student audiences their college experiences, particularly those around dating, sexuality, and alcohol. It details an experience of sexual assault and the impact it has on the survivor, the perpetrator and their friends. 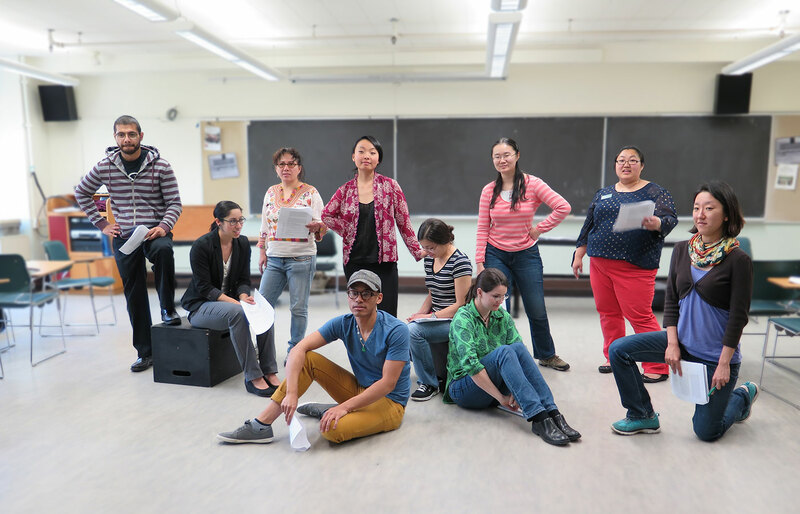 While the play deals with complex, important subjects, it also has sequences that are humorous and fun and presents ideas in such a way that students can relate. Rehearsals begin mid-June. Performances run through the end of July, with a reprise in late September for Week of Welcome. There is one non-binary, three male-presenting, and two female-presenting roles to be cast. For details or more information contact Abigail Leeder at aleeder@uoregon.edu. Rehearsals for Life is a joint project between the UO Graduate School and the Office of the Dean of Students, started to help people learn and practice stepping in and defusing disrespectful situations. The troupe uses their own stories and experiences to find inspiration for their performances and discuss issues of power and privilege. But these are not just ordinary theater performances; audience members are invited to participate in the performances and practice navigating potentially disrespectful situations. Through these performances and workshops, Rehearsals for Life works to build healthier relationships and a more equitable campus for all. We don't always know the right thing to say, so why not take some time to practice before those moments happen. Schedule a workshop with us to practice. This can be a great way to start a dialogue or explore social dynamics. Practicing difficult situations ensures that you are confident in your abilites to settle disrespectful situations and be a conscious bystander that speaks out for what is right. Let us know what works for you and we can work to customize a session for you. If you are interested in joining Rehearsals for Life, we are looking for enthusiastic and committed members who have an interest in social justice and a desire to contribute to the campus community. Courage is the most important characteristic to possess for our troupe. We need the courage to stand up and discuss topics that are difficult or deeply personal. We have to be vulnerable as a way of discussing issues that are important to our community. But none of us does this alone. We work together to design performances and help each other develop personal and professional skills. If you have the desire to make a change in our community and the courage to help us do that, please join us.